This is a direct mount 2-way chrome plated brass ball valve with female to female connections. ISO 5211 pad for actuator. It has a full port range and comes in sizes 1/4″ to 4″. The pressure rating is 600lb WOG – 150lb WSP. Temperature rating is up to 366°F. To prevent stem blow out, it has a blow out proof stem. For low operating torque it has P.T.F.E. seats with O-RING backing. 100% electronically tested in both the open and closed position at 80 psi. 250N: WITH BRASS BALL AND STEM – size up to 4″. 253N: WITH STAINLESS STEEL BALL AND STEM – size up to 2″. 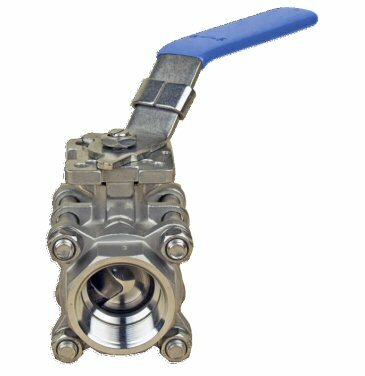 This BONOMI Series ball valve is a direct mount brass 3-way ball with ISO 5211 pad for actuator. The pressure rating is 400lb WOG – 100lb WSP. Model 355N has a (90° and 180° flow path). Model 365N is a (90° with off position). 355N: LEVER HANDLE – size 1/4″ to 3″. “T” flow pattern. 365N: LEVER HANDLE – size 1/4″ to 3″. “L” flow pattern. 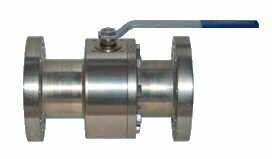 The BONOMI ANSI 600 is a stainless steel, ANSI class 600 ball valve with flanged ends. It’s a full port and comes in sizes 1/2″ to 4″. Metal filled P.T.F.E. ball seats. ANSI B 16.5, B16.10, B16.34 design. FIRESAFE certified to API 607 6th edition.